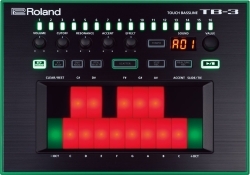 The Aira range from Roland features some great little instruments that emulate some of their most famous instruments from the dance, trance and techno eras. The documentation for them all tho’ appears to be sadly lacking and what there is is rudimentary at best. It also appears to me to be all over the place. 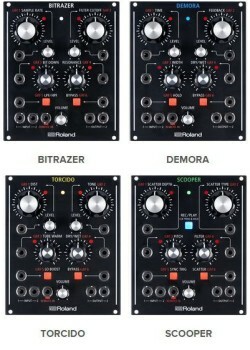 Some parts are in the support section of Roland’s website, some are in the product section and there’s lots of useful info tucked away of some of Roland’s international websites as well. Frankly, it’s a mess and I’ve started this site to try and pull some of this together. 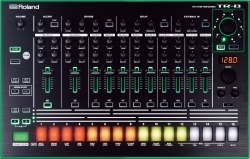 In addition, there are tons of vids on Youtube on the Aira range, including some nice, albeit, quite dry stuff from Roland themselves. Having to dig thru’ all this to find out how to, say, change the TB-303 tuning info for the TB-3 is painful, at best. Hopefully, this will help and not add to the pain! Currently, there are nine hardware devices in Roland’s Aira series, not including the effect modules for use with System-1 modular synth, and additional add-ons available as software updates. Presently I only own three of the range, so am just concentrating on them for the moment. The MX-1, and possibly that System-1m are on my wishlist tho’ so you never know. 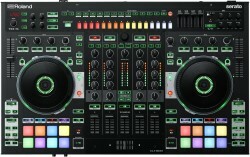 DJ controller created in conjunction with Serato which incorporates a drum machine based on the TR-8 and Vocoder based on the VT-3, plus built-in effects. 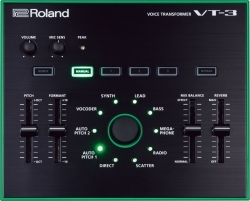 In addition, the System-1 has Roland’s Plug-out concept which allows VSTs to be loaded into the synth, effectively making the System-1 a dual-synth device, although only one can be used at a time. 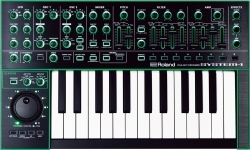 The System-1m is essentially the same synth as the System-1 minus a keyboard but with the addition of a number of input and outputs for connecting to modular systems, some of which Roland offer as part of the Aira range. 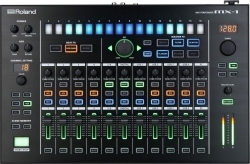 A multi-channel mixer that connects all the Aira gear plus any other kit you may have laying around. 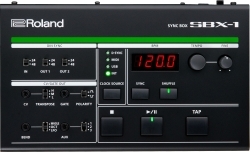 Multi format synch box for practically any device.